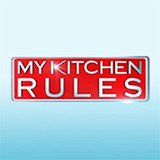 Ramsay's 24 Hours To Hell And Back is a TV show on Australian national television from Seven with an average rating of 3.9 stars by TVCatchUpAustralia.com's visitors. We have 8 episodes of Ramsay's 24 Hours To Hell And Back in our archive. The first episode of Ramsay's 24 Hours To Hell And Back was broadcast in November, 2018. Did you miss an episode of Ramsay's 24 Hours To Hell And Back but don't you wan't that to happen in the future? Please set an alarm and add Ramsay's 24 Hours To Hell And Back to your favourites, so we can remind you by email when there's a new episode available to watch. Completely free: handy! Gordon Ramsay travels to Sandra Dee's Bar-B-Que and Seafood, a laid-back bar and grill located in Sacramento, CA. Gordon travels to Fetch Bistro, a restaurant designed to serve both people and dogs. After investigation and surveillance, Gordon discovers that the restaurant itself could use a major clean-up. Gordon travels to La Serenata, a family-owned Mexican restaurant located in Los Angeles. He realises the owner has exhausted himself in trying to keep the restaurant?and his dad's legacy?afloat. Gordon is in Mississippi to save Sherman's, a family-owned fine dining restaurant. With declining food quality and fewer customers, the owners are on the verge of losing the restaurant and their home. Gordon and his team try and save a Cajun fusion restaurant in Los Angles by making renovations and creating a new menu. Gordon travels to The Old Coffee Pot, a Cajun restaurant in New Orleans. After intense investigation and surveillance, Ramsay and his team find that the restaurant's staff lack major accountability. Gordon helps struggling restaurants across the country in his state-of-the-art mobile kitchen and command center, Hell On Wheels. He has just 24 hours to help turn the restaurants around.